Picture a light gray-brown bird with a bright blue head, wings and tail. That’s how you can recognize the Florida scrub-jay, the only bird that lives nowhere else but in Florida. 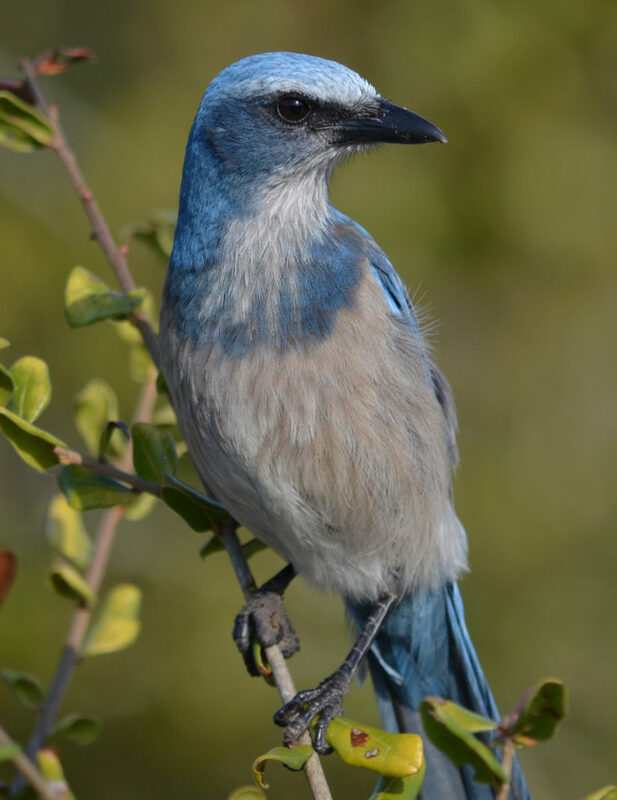 Come celebrate this songbird at the 8th annual Florida Scrub-Jay Festival on Saturday, Feb. 18, at Jonathan Dickinson State Park, about 12 miles south of Stuart on U.S. 1. From 10 a.m. to 4 p.m., the festival will offer guided walks, exhibits, swamp buggy and hay rides, kids’ activities, entertainment and food. There will be an opportunity to meet Florida Fish and Wildlife Conservation Commission (FWC) staff and partners that are helping conserve this threatened species. The FWC is one of the festival’s organizers. The Florida scrub-jay is distinctive because of its unusually cooperative family lifestyle. “The Florida scrub-jay lives in family groups composed of a breeding pair that mates for life and its offspring. Young scrub-jays often stay with their parents for one or more years and act as helpers to defend the family’s territory and raise young. Breeding pairs with helpers successfully raise more young than lone pairs,” said Craig Faulhaber, the FWC’s avian conservation coordinator. “Because Florida scrub-jays are very territorial and don’t migrate, people may get the chance to watch events in the life of a scrub-jay family throughout the year. Family members work together to defend territories averaging 25 acres from other scrub-jay families, with at least one member always on the lookout for predators,” said Faulhaber. The Florida scrub-jay is one of the many wildlife species you may spot at Jonathan Dickinson State Park. It needs sandy scrub habitat to survive, but its populations have been impacted by habitat loss, agriculture and the lack of natural or prescribed fire to maintain vegetation height and sandy openings on scrub lands. Scrub-jay populations are thought to have declined by as much as 90 percent since the late 1800s. What is its call like? More like a screech than a song, since it is related to species like the crow. Hear the sound of a Florida scrub-jay by going to AllAboutBirds.org and searching for Florida scrub-jay. Supporting habitat management on FWC Wildlife Management Areas with scrub habitat, such as the Lake Wales Ridge Wildlife and Environmental Area, Salt Lake WMA and Platt Branch WEA. Keeping cats indoors near scrub-jay habitat. Reducing use of pesticides around homes and golf courses since scrub-jays feed on insects. Reporting harassment or harm to scrub-jays or their nests to FWC’s Wildlife Alert Hotline, 888-404-FWCC (3922).